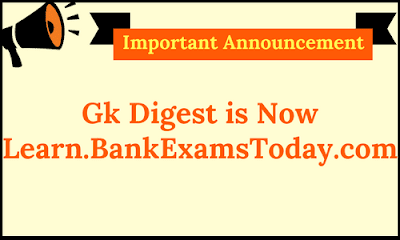 The reason for this switch is that we want to work under one brand name and as you all are well aware of BankExamsToday so we decided to migrate the GK Digest to learn.BankExamsToday.com. right corner of www.bankexamstoday.com. You can directly access your account by logging from the bankexamstoday.com's website.